wait! you forgot Aoi throwing/playing with those huge worm? Aoi’s basically the princess of nature! It’s interesting seeing the contrast between her regular crybaby self and her evil, fire-loving self. Aoi wins the show again! She’d make an awesome Girl Guide leader when she grows up. I’m not sure how far through you’re going to do this, but I’d love to see the Korea one. If being a model doesn’t work out for her in the future, she should definitely start a camping school. Cute instructor + the outdoors = winning combination! I think someone might have subbed the first episode of Korea already, but I’m not sure if he plans to continue it. Hopefully he does! Any idea who it might be? Thanks for doing this though, it eased the frustration of not being able to go to any of the theatres while I was on holiday in Japan last week. You need to add おねげぇするっすin there somewhere! I will forever associate that phrase with her. ALL HAIL THE GODDESS OF FIRE!!!!!! Aoi is so cute >_______<"
Yeah, even though she’s my oshimen, I feel like she’s pretty bland most of the time so it’s fantastic that she has some sort of quirk. 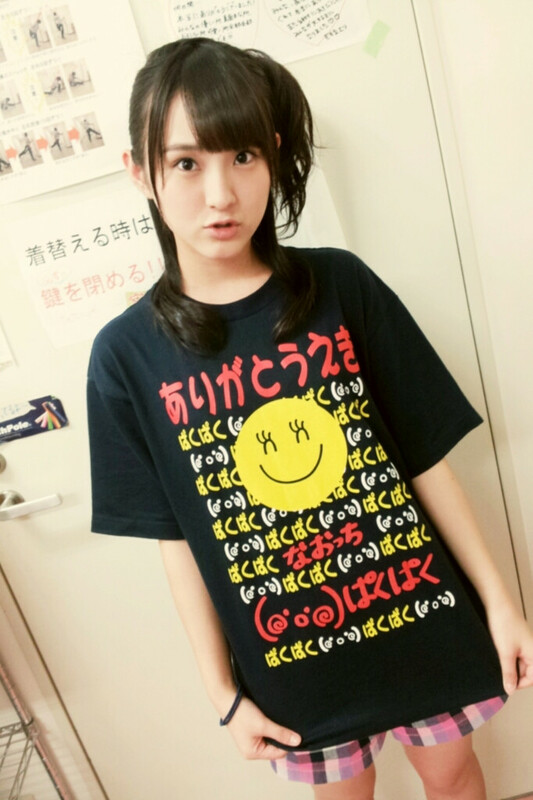 I don’t think we have a camping chara in the 48G so I hope she keeps pushing it! so you’re not doing 24 and the rest? I’m subbing until ep 31, at least for now.